Spy Killer is an effective, fast and easy-to-use spyware remover developed by Maxion Software company. It was carefully tested on several PCs including already infected systems as well as absolutely clean machines. The application passed all our test and produced quite sufficient results. The program examines the Windows registry, running processes, cookies and entire file system including compressed files within RAR, ZIP, CAB and JAR archives. A user is allowed to perform configurable scans. Spy Killer can be used to scan the system for known parasites (Quick Scan), search for known pests and check system files and folders (Deep Scan) or scan other user specified locations (Custom Scan). On our test computers all three scans did not take more than 2 minutes. Apparently the application doesn’t thoroughly examine content of each file and relies only on its spyware definitions database, which is updated on a regular basis and currently provides detection of more than 5,200 different parasites. Spy Killer detection technique allows to easily find known widely spread threats, but may be quite ineffective against the most recent security and privacy risks. 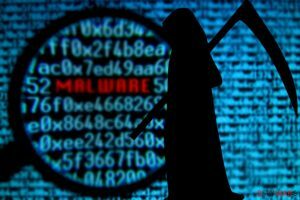 Spy Killer includes an integrated real-time protection module called Instant Kill, which regularly checks web browser settings and cookies and automatically blocks Internet Explorer pop-up windows. Instant Kill helps to prevent browser hijacks and spyware installation, block annoying advertisements and stop malicious web sites from tracking user Internet activity. The application also includes several additional security tools. Homepage Lock locks up Internet Explorer default home page and essential settings in order to prevent browser hijackers from altering IE configuration. The Stealth tool can be used to run Spy Killer on every Windows startup in password protected mode preventing malicious users from disabling system protection. File Shredder allows to unrecoverably delete specified files. The program’s interface is convenient and user-friendly. The Spy Killer Vendor offers highly limited trial version that expires after 15 days of use and allows only one system clean-up. Official domains associated with the product are spy-killer.com and maxionsoftware.com. Orders are made via reliable services using a secure connection. This entry was posted on 2014-04-30 at 01:41 and is filed under Anti-Spyware, Software.